first, get to Hanami-koji! literally mean place to see flowers. I guess it’s a metaphor for a place to see Geishas hahaha. okay now when you walk in, you should walk for a while and turn right into the next small street. it’s on that row. just keep walking around until you find it. I kind of got lost since I went there looking at a map. oh well. here’s how the alley look like! Kinana look pretty normal and it doesn’t stand out (at all!) so you should learn how to read Japanese. I am not kidding hahaha. it’s written “(something)(something)きなな” simple yes? just remember the double hiragana at the end. *something something because I can’t read Kanji T_T. so how did it taste? I’d say, it tastes HEAVENLY. definitely a one of a kind ice cream shop as they have flavours barely sold anywhere else. I couldn’t remember any of the names of the ice cream by now but I had black sesame (my favourite of Japanese ice cream!) with some honey flavoured one. it was so light and fragrant I could have 2 more portions all by myself. it’s that type of ice cream which is soooo good you’d HATE to share. we also ordered a bowl of Honey shaved ice. 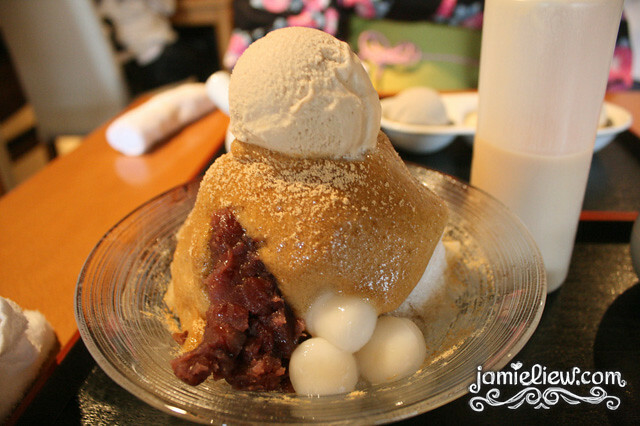 the beautiful honey paste resting on top of the finely shaved ice sure look desirable but if I was given another chance, I’d order the green tea. I like honey. but I didn’t like this one as much. 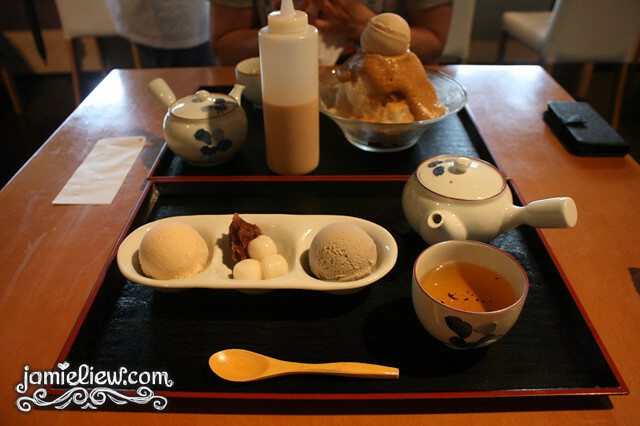 the red bean and plain ice cream was good though. although Kinana only has 6 flavours to choose from, it’s already a lot. 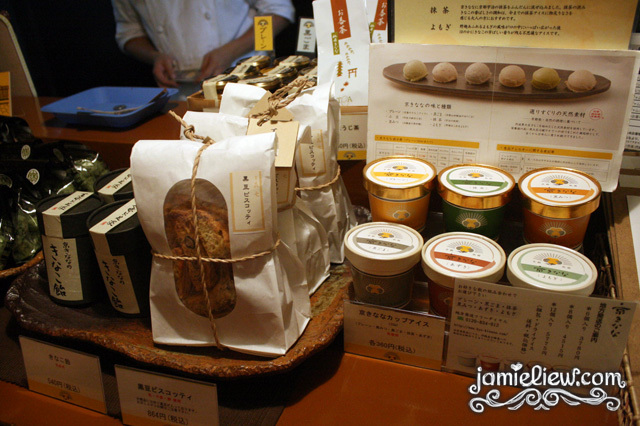 the 6 flavours are Matcha (green tea), Kurogoma (black sesame), Azuki red beans, plain, Kuromitsu (black honey, says google translate), Yomogi (mugwort). there is another set where you can choose 3 ice creams and if you’re going with a friend I’d recommend to ORDER ALL THE FLAVOURS!!! =3. 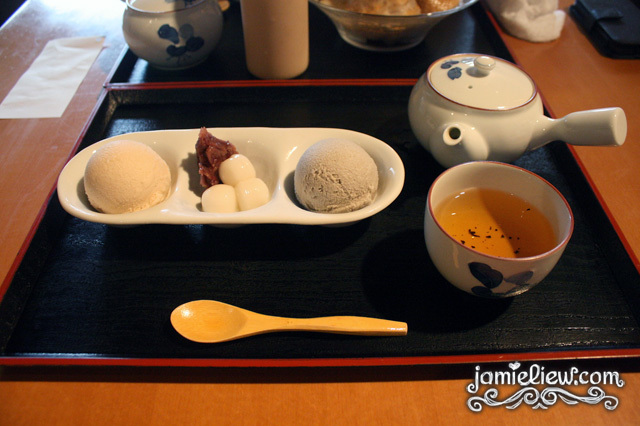 those mochi was good but the ice cream was amazing. you can also buy a tub of ice cream BUT you can only eat it inside. like, standing. because you’re not supposed to eat on the streets of Hanami-koji. and they’d not allow you to bring it out. so I guess that’s for when the place is really packed or you’re on a tighter budget =X. remember those writings on the cloth because they are your only clue! there are no pictures or anything outside so..
pricing : expensive but affordable. around 700yen to over 1000yen per person. the tubs were 360yen. not cheap but if you’re in Japan already, don’t skimp! I want to go to Kinana, too. yeah I find that weird but it is true that there was nobody eating at the streets. hi, where did u get to hire the kimono in kyoto? thanks ! if you are referring to the Yukata I wore in this post, I actually bought it since renting it only costs around 50% less. 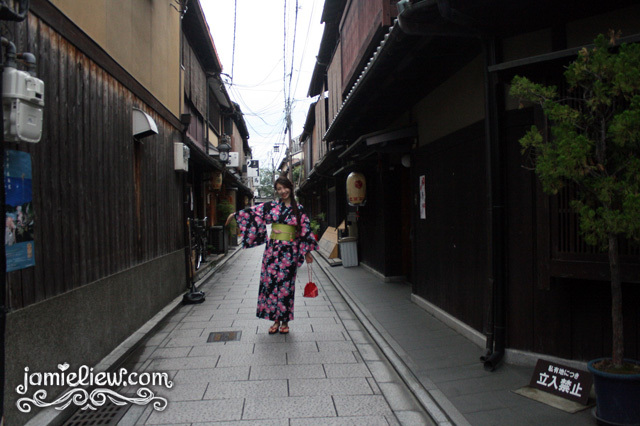 Kimono’s are much more expensive so during my last trip there on winter, I rented it from Yumeyakata. you can try googling for it! Are you ging back to korea soon?